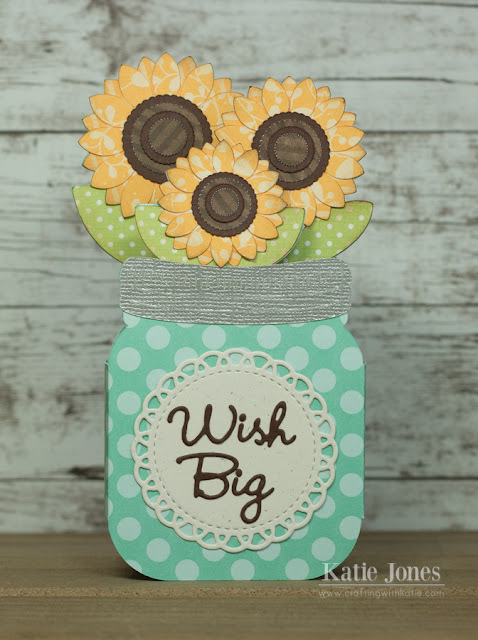 Lori Whitlock comes up with the cutest designs for the Silhouette! I bought this box card cut in the Silhouette Online Store. It's very easy to put together. All of the patterned papers I used are from retired Papertrey Ink collections, except the brown stripes, which is from an Echo Park pack I linked below. I decorated the front of the mason jar with some My Creative Time dies: Bunch of Stitched Doily Dies and Mini Greeting Dies. The perfect touch! What a great use of PTI retired paper. I bought all of those too. I am going to make this!! What a great cut file! I love how it turned out...beautiful job!